An Appointment With Murder introduces you to the main character in the series. With her personal life in shambles, Sarah is thrust into the investigation of her murdered assistant. The case takes a bizarre twist when the secret life of her assistant is finally revealed. An Act of Deceit finds Sarah working with a private investigator that will challenge her in ways she never imagined, all while trying to keep her new career a secret from her husband. An Island of Illusions takes Sarah and the team to Hawaii, in search of a missing child. When the prime suspect turns up dead in a swimming pool, Sarah must decide how far she is willing to go to locate the abducted child. 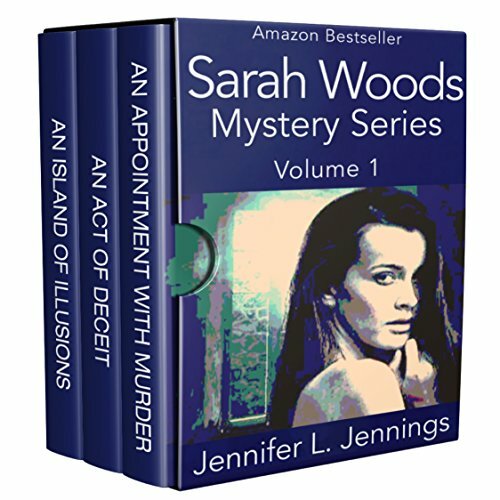 Click here to pick up your free copy of Sarah Woods Box Set in the Amazon Kindle store.